My brother digging ramps on the family farm. It’s ramp season in Appalachia. Back in WV, April has long been the month for ramp suppers usually featuring a “mess” of the pungent onion/garlic/leeks alongside beans, cornbread, ham, and potatoes. Dessert can be assumed. We didn’t much go to ramp suppers. LOTS of people didn’t go. 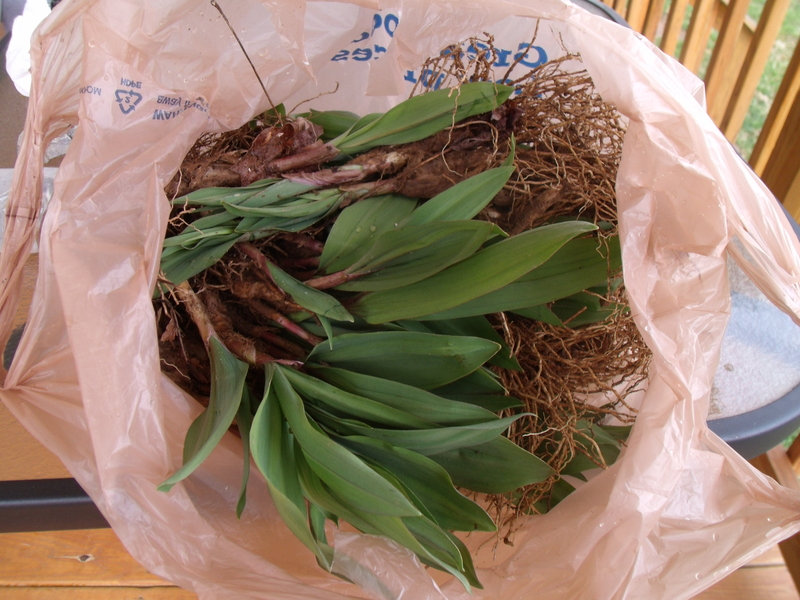 Because, well, lots of people don’t much like ramps. Did I mention they’re pungent? The lingering after effects of eating ramps are legendary. Not just your breath, but your very pores exude the garlicky aroma. But now–NOW–ramps are apparently trendy. Plenty of downright ritzy restaurants are weaving ramps into their spring menus. My friend and WV chef Dale Hawkins is offering a gourmet ramp dinner in Buckhannon, WV, on April 18. It will feature dishes like roasted ramp and celery root soup along with beer-bathed bratwurst with apples, buttery noodles, and caramelized ramps. Right here in Asheville, the Marketplace is offering a five-course ramp dinner on April 15. Of course, Chef William Dissen is a native West Virginian so he probably knows what he’s doing. My theory is that trained chefs have hit on the right formula for cooking ramps. They really ought to be treated as a condiment–a flavoring or seasoning. Sure you can blanch them then fry them in a little bacon grease and sprinkle on the vinegar, but if you don’t regret that dish your close friends will. My niece didn’t think much of her first ramps. It might be better to chop a few and add them to a potato and bacon hash or mix them up with scrambled eggs. Or better yet, find some outstanding chefs somewhere in Appalachia and see how they’re working their magic on the legendarily stinky first fruit of the season. ← SouthernBelleView Monday – He is Risen! Love the pictures! I think I’ll pass, even with Dale doing the cooking! 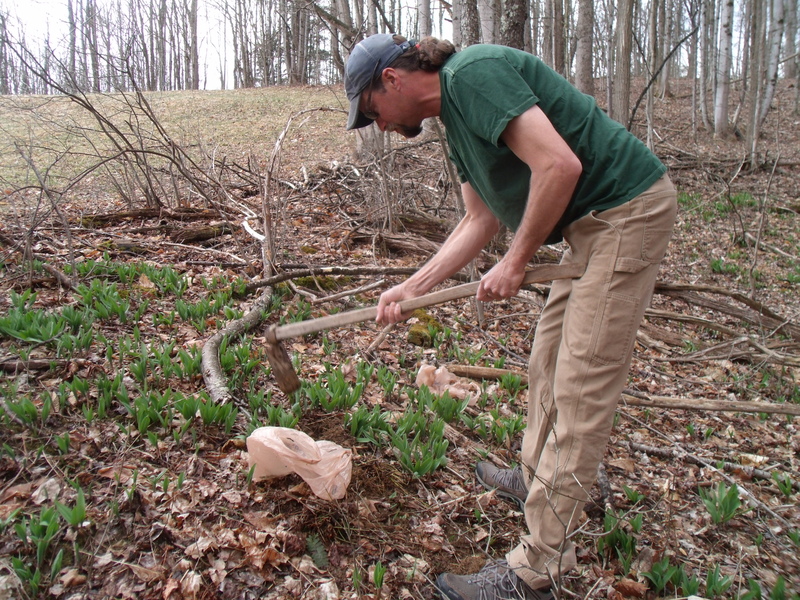 Although, if anything would tempt me, it would be those caramelized ramps…. And I love sharing them! 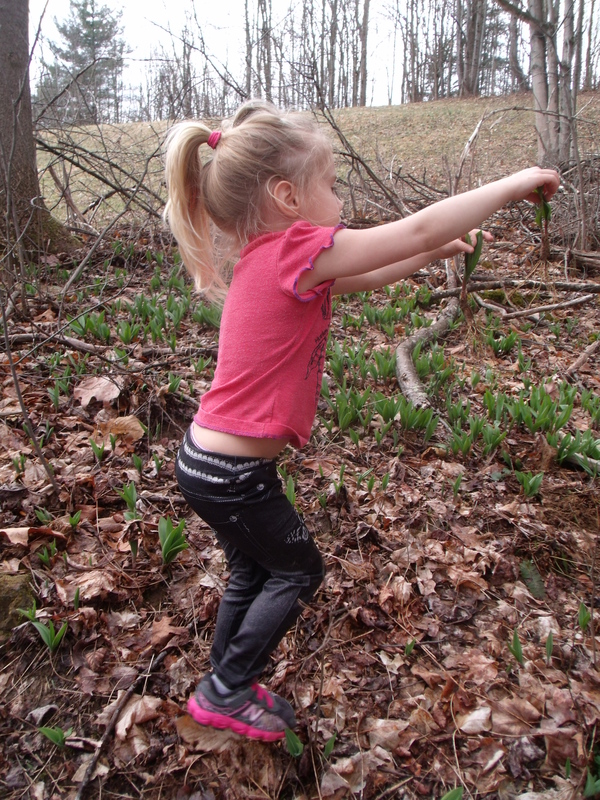 Pingback: » Appalachian Thursday – Ramps! Lots of people fry them with potatoes. I don’t like them,but I remember the ramp dinners when I was a kid. Good memories ! See, another West Virginia native who doesn’t like ramps! Love the ramps! One ramp dinner is all you need to flush out the toxins in your body!